There are 3 courses and the final course will be dictated by the wind and weather conditions on the day. The final course will be decided by the race director the morning of the brief trying to suit the best course for condition. 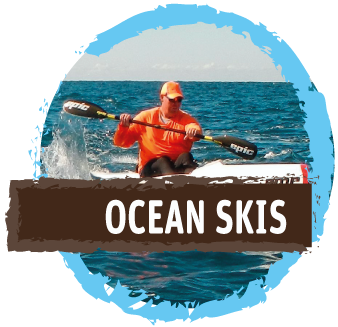 All information from the brief will be updated on oceanpaddle.com.au website and via Facebook. 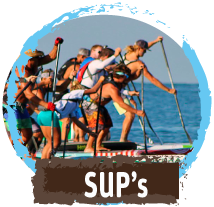 The first wave to start will be the stock and unlimited prone paddlers, followed later by all SUPs. 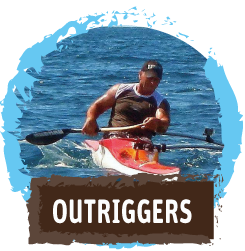 and Outrigger boats, then followed by all Spec,, Ocean, and Double Skis. 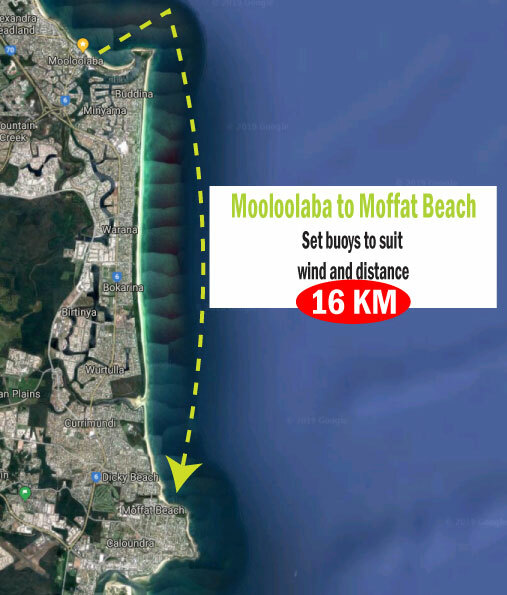 Exact start time may vary for the first wave as we will try to wait for the best wind conditions. Starting from Mooloolaba beach out to sea for best angle clearing Point Cartwright then head for Moffat Beach. 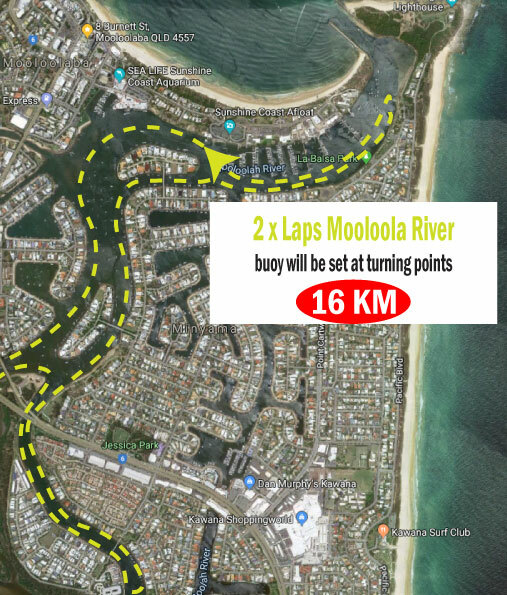 The course is 2 laps starting in front of Clark Park Mooloolaba heading up river staying left following up to the bridge and turning at the buoy, still keeping to the left enter the next channel up to the weir keeping left. Once reaching the weir buoy turn still keeping land on you left continuing down to La Balsa park to last turning buoy. Then head keeping left toward Clark Park.